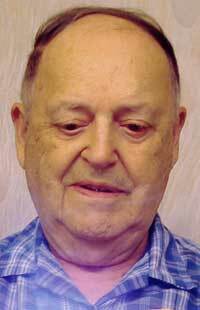 John L. Coker III: I appreciated very much the article (04/20) about Art Widner. There is one update that I’d like to provide…in addition to Madle, Korshak and Kyle, another member of First Fandom attended the first Worldcon (July 2-4, 1939). That true fan is none other than Jack Robins, who is alive and well today! In October 1936, Jack was also part of the New York group of fans that took the train to meet with their counterpart fans in Philadelphia. Robins, Kyle and Madle are now the only survivors of what Sam Moskowitz has acknowledged as the First Eastern Science Fiction Convention. By Jack Robins: A group of us, Wollheim, Michel, Pohl and I headed out to the first World Science Fiction Convention. When we arrived at Caravan Hall, we approached the admission desk together, ready to pay the entrance fee. Sam Moskowitz came over and told Wollheim, Michel and Pohl that they couldn’t go in. Then he looked at me as I stood there dumbfounded, hesitated a moment and then said, “You can go in.” I paid my admission and went in. Later on Asimov appeared and was admitted. He was supposed to say something about the people being barred but Campbell got hold of him and praised him to the audience. He was so flattered and in awe that he forgot he was supposed to say something about the barred fans. Across the street from the Convention there was a cafeteria. Whenever I could I would join them and tell them what went on. Occasionally other fans would meet with them. Of course they were deeply angry to have been unfairly barred from the convention. All they had wanted to do was enjoy the first World Science Fiction Convention but somehow the organizers must have felt that Wollheim, Michel and Pohl would miraculously take over and ruin the meeting. The funny thing is that months before, Wollheim was broaching the subject of having a Convention at the same time as the World’s Fair because fans from all over the country and from other countries might attend. So the idea had been bandied about in Fandom but was taken over by Moskowitz, Taurasi and Sykora, with John Campbell’s support. The organizers made a very successful first convention, doing a superb job of putting it together. This entry was posted in Clubs, Worldcon and tagged First Fandom, Jack Robins, John L. Coker III, NyCon I by Mike Glyer. Bookmark the permalink. Let me point out to the young whipper snappers out there that even in 1939, the Trufans or their mortal enemies could be considered to be Proto-puppies, in the modern context. And let me point out that the anger at what was done in 1939 reverberated down through the decades. Fandom has a very long memory. Damn those exclusionary social justice warriors, excluding people! Wait… They were being excluded because they had socialist leanings? Good for John Coker for tracking down Mr. Robins! This is nifty, but could you please post the URL to the entire interview? Where can we read the whole thing? Or if, for some reason, the interview isn’t available to the world, could you please post it so it is?